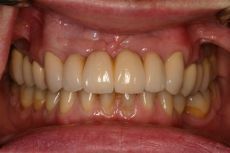 The art of the prosthodontist is to use combinations of techniques such as crowns, implants, veneers, bleaching, orthodontics, endodontics, periodontics and bridges to reconstruct neglected mouths. Life long problems can be solved. Full mouth rehabilitations and partial rehabilitations are able to fix even the most severe problems. You can achieve a functional, healthy, cosmetic set of teeth. Everything is possible, and if you want to make a change and value quality you should contact us. We guarantee not to lecture, only to fix the problems you have. 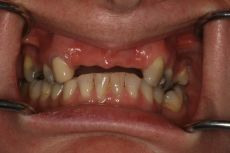 A lifetime of patch-em-up dental work can be turned into a functional, cosmetic and durable smile. See cases studies here.